We did it! 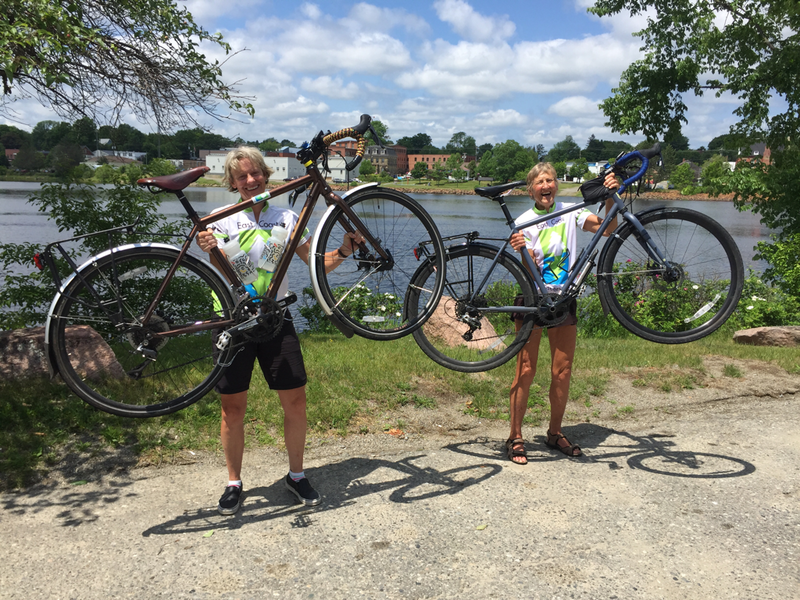 We arrived in Calais, Maine, across the St. Croix River from Canada, on June 29. Right on schedule, two months and a day, 2,850 miles since leaving Key West on May 4. ​Thanks to all of you who have followed our trip with so much enthusiasm all these weeks! We're getting an up-close look at the Eastern Seaboard, celebrating three decades of friendship, and embracing life's third act. And we're happy to have you along for the ride as we hug the coast. We met one day in Boston and took a bike ride that weekend. That was 1984. We still like to ride bikes. Here's our best guess of our schedule, Key West to Calais, Maine, May - June. Will you be close by? Come buy us dinner! In words and pictures, we'll share what we see, how the day's ride was, and occasional profound thoughts. In 1991, visionary founders launched the idea of a biking and walking trail connecting the major cities of the East Coast. The 3,000-mile route travels through 15 states and Washington D.C. Nearly one-third of the route is now on protected greenways; the nonprofit East Coast Greenway Alliance is working to move all 3,000 miles onto safe, non-motorized paths.